Have you ever wished for a simple solution to rid your body of unwanted fat? Mesotherapy is one of the most popular methods of weight loss in Las Vegas, and the answer to your wish. Though this process is not magic and does require multiple treatments to achieve good results, it is a great, noninvasive procedure compared to alternatives, such as liposuction. Mesotherapy will rid you of your unwanted cellulite, as well as lift and tighten your problem areas, a process known as “mesolift.” Your search for an easier, noninvasive solution to provide you with the body you deserve and boost your confidence is over thanks to mesotherapy. Rather than enduring liposuction, which can be dangerous due to anesthesia and has a painful recovery, people all over Las Vegas are opting for mesotherapy. This simple procedure can be performed at a medical spa. Injections are placed in the areas that you wish to see improved, such as the abdomen, thighs or hips. It can be used to improve unsightly cellulite as well as provide a mesolift to problem areas. There is no need to plan for a lengthy recovery; patients go home with ice and are back to normal very shortly. Mesotherapy is a series of injections of pharmaceutical medications, homeopathic medications and vitamins into the middle layer of skin called the mesoderm. These injections can be targeted to localized problem areas of the body, allowing for much smaller dosages. The skin then acts as a time-release delivery system for these medications. The practice works by stimulating the body to heal itself in these specific areas. 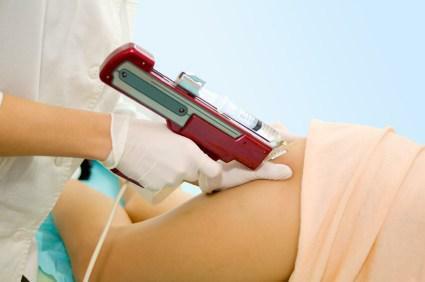 When mesotherapy is used to eliminate cellulite, it repairs the connective tissue by increasing circulation and shrinking the fat cells. This results in a smoother, more even-toned appearance. The number of injections required will vary from patient to patient. Before undergoing the treatment, patients attend an evaluation appointment with their medical spa professional. At this appointment, you will be weighed and measured and can speak with your clinician about any concerns you may have. It is advised that you avoid any blood thinners before undergoing mesotherapy. If you are interested in an easier, noninvasive way to shrink unwanted fat, get rid of cellulite and have a mesolift, mesotherapy might be for you. For more information or to make an appointment for a consultation, contact a Love Your Body Medical Spa representative today. If you're interested in scheduling an appointment or learning more, please Contact Us Now!